1. Harriet BASSETT, daughter of Richard BASSETT of Glentworth (1744-1805) and Martha ARMITAGE ( - ), was born on 24 April 1781 in Glentworth. 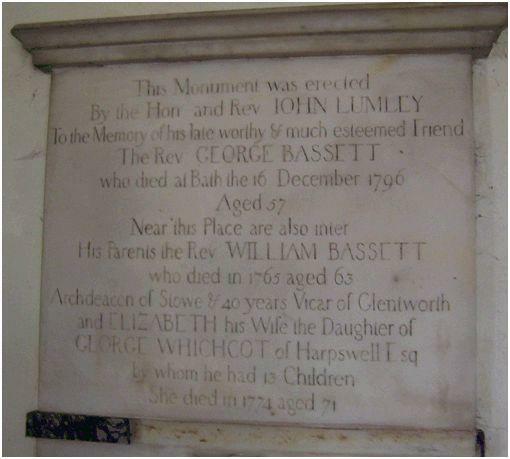 She was baptised on 24 April 1781 in Glentworth. She died in 1785 in Glentworth. She was buried on 27 May 1785 in Glentworth.